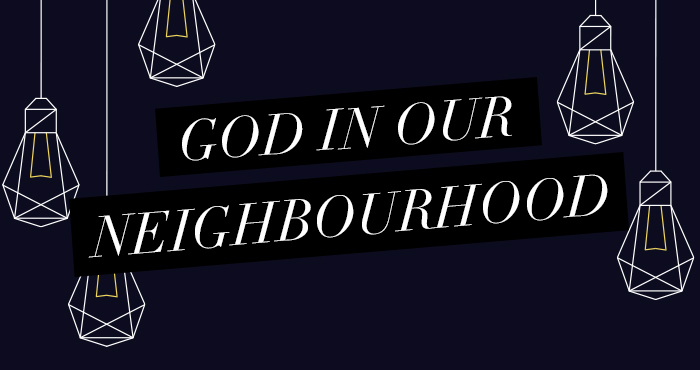 Following up on last week’s message by Pastor Bill entitled God In Our Neighbourhood – The Story, this week we had a unique presentation in an interview format about an exciting new initiative brought together by the Be In Christ Church of Canada and Westheights Church. Charlie Mashinter interviewed Tom Fenske about the Lumina initiative. Pastor Bill Johnston introduced Charlie, who updated the congregation on our pastoral search before his interview with Tom. About Charlie Mashinter: Charlie Mashinter is Team Leader of BIC Canada Community Churches. Prior to coming into this position, he was the Lead Pastor for almost 19 years at Wainfleet BIC Church, a growing and vibrant church in the Niagara Peninsula of Ontario. He carries a passion to see local BIC Community Churches across Canada reach their kingdom potential as centres of spiritual life and blessing. He enjoys working with Pastors and church leaders to see this picture of a preferable future become reality. Charlie and his wife, Becky, are the parents of three great kids – Darcie, Greg and Josh. Charlie enjoys coffee, long drives, good books, Downton Abbey and hockey. He fuels his abiding sense of optimism by believing he will see the Toronto Maple Leafs win the cup again in his lifetime. About Tom Fenske: Tom is Pastor of Students at Westheights. Tom’s love is to share the wonder of following Jesus and finding grace in the everyday. He is married to Gillian and they have two awesome kids, Kate and Elise. Tom loves writing, games of all kinds, and really, really wishes he was a Jedi Knight. You can check out his blog on thomasfenske.com.